Vanessa Rodriguez is a senior studying journalism and electronic media. She hopes to be an entertainment journalist and work at E! Entertainment. Her interests include celebrities, travel, food and spending time with family. To get in touch with Vanessa, email her at vrodrig1@vols.utk.edu. Kaitlin Flippo is a senior studying journalism and electronic media with a minor in political science. Kaitlin’s journalism career at TNJN.com began her freshman year. She hopes to be a political journalist after graduation. When not writing or editing, Kaitlin can be found watching Netflix, hanging out with friends and family or going to Cruze Farm with her best friend. You can reach out to Kaitlin by emailing gqr859@vols.utk.edu. Jake Nichols is a senior in journalism and electronic media. 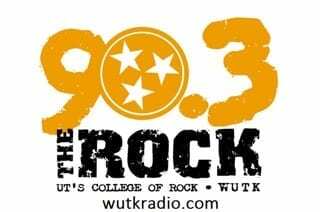 In his time at UT, Jake has worked for several media outlets including Rocky Top Insider, WUTK Rock Solid Sports, VFL Films, SEC Network and the Tennessee Journalist. Jake serves as a play-by-play broadcaster for East Tennessee high school sports at Diamond Clear Media. He is excited to return to TNJN.com where his journalism career began. In his spare time, he enjoys spending time with friends, girlfriend and family. Jake also enjoys building his photography portfolio. You can reach out to Jake by email at johwnich@vols.utk.edu or on Twitter or Instagram using @jnichols_2121. Lauren Claxton is a sophomore at the University of Tennessee, Knoxville. Originally an economics major, she quickly realized that journalism was the right fit for her. Majoring in journalism and electronic media and minoring in global studies, she hopes to one day write for “Nightly News with Lester Holt.” In addition, after interning with Bridge Refugee Services, Lauren aims to use her field to give underrepresented populations a voice in the media. Born in Knoxville, Tennessee, Lauren is a South Knoxville girl at heart. She lives and breathes for Tennessee basketball, is a “Game of Thrones” fanatic and is an unashamed Taylor Swift fan. This is her first year as a Resident Assistant in Hess Hall, and she loves being a resource to the 61 girls on her floor. Feel free to reach out to any of these editors to join our staff. A person does not need to be a major in the School of Journalism and Electronic Media or taking journalism classes to be on the staff of the Tennessee Journalist. The Tennessee Journalist is always interested in adding writers, editors, photographers and others interested in Web journalism to its staff.